After Market Shindig at Merry's! Our Annual After Market Party is here! Come check out all the latest and greatest in patterns, sewing gadgets, wool projects and some fabrics! LOTS of new samples, too! The All Iowa Shop Hop is on NOW! Be sure to stop in to get your passport stamped and check out the shop. Receive a free 6" patriotic charm on your visit. If you are interested in the 2015 AISH Fabric, don't delay! It's going fast! You can also order it online from our website. Join us for our SAMPLE SPREE Drawing! If you have "earned" your name in the drawing, be sure to be at our big event! The shop opens early at 9 AM and the drawing will be held at 9:30 sharp! Starting July 1st! NEW BLOCK OF THE MONTHS! 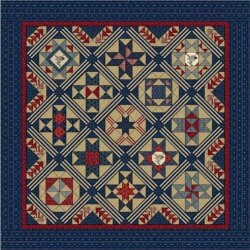 6 month Block of the Month 58" x 58"
Penny Rose Fabrics -- Americana by Carrie Quinn. Sashing features neat stripe fabric with unique pieced setting triangles. Sign up online or call the shop! 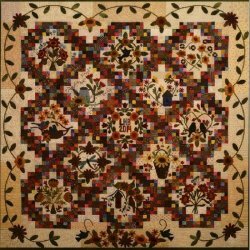 14 month Wool Applique Block of the Month 68"x68"
Sunflower Gatherings is a spectacular 68" x 68" patchwork and wool applique quilt consisting of 13 blocks and a beautiful border with wool applique. 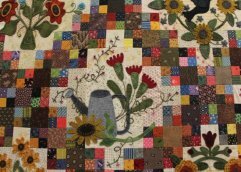 Use your stash for the tans and scrappy patchwork in the quilt, and join our Block of the Month for the hand-dyed wools to complete each block and the hand-dyed wools around the border. Optional Fabric Pack also available. See our website or call the shop for more details!! We are excited to be a part of this nation wide event. Collect a FREE row pattern at each participating shop. Runs June 21-Sept. 8. 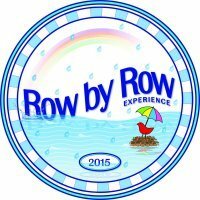 Be sure to check out the Row by Row Experience Iowa Facebook page! We will be revealing our ROW on Facebook soon! Be Sure to LIKE Merry's Stitchins on Facebook!